The Federal Reserve on Wednesday made two key changes that signal to investors an overhaul in how the central bank thinks about monetary policy and the economy. On Wednesday, the Fed released a new statement (alongside its monetary policy decision) that further outlines its view of the role that reducing the size of its balance sheet plays in setting monetary policy. The Fed also altered its outlook for how many more interest rate hikes it believes will be needed to support full employment and 2% inflation. The Fed on Wednesday did maintain the target range for its benchmark interest rate at 2.25%-2.5%, an anticipated pause after the Fed increased this range by 0.25% in December, its fourth increase of 2018. 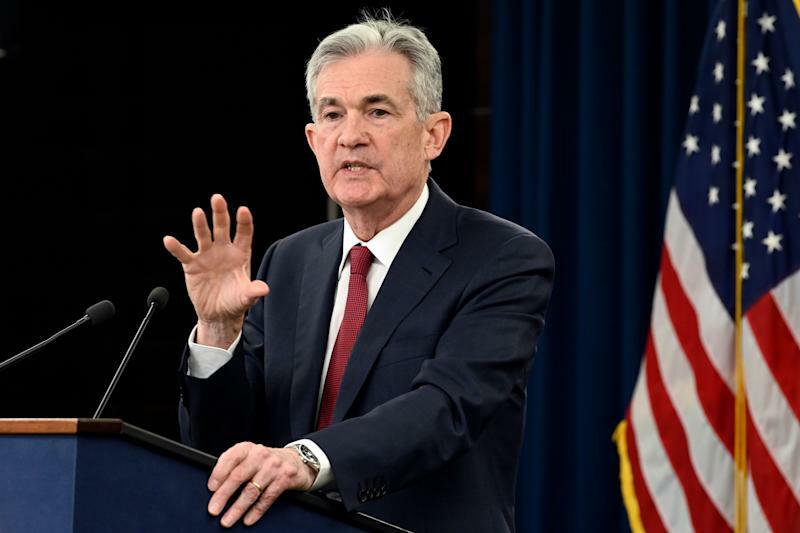 Fed Chair Jerome Powell on Wednesday will hold his first of eight press conferences this year, with the Fed chair now set to speak to the media after each of the Fed’s policy meetings; in recent years Fed chairs had held press conferences on a quarterly basis. The Fed’s new statement tells investors that on the one hand, the balance sheet roll-off matters — but on the other hand, it is a mere complement to how the Fed sets policy. “The Committee continues to view changes in the target range for the federal funds rate as its primary means fo adjusting the stance of monetary policy,” the statement said. Though the Fed added that it “is prepared to adjust any of the details for completing balance sheet normalization in light of economic and financial conditions.” If the economy turns south, the Fed is signaling that changes to its balance sheet plans could become a policy tool, but that right now it is not a primary part of its program. The Fed’s statement also noted that the central bank “intends to continue to implement monetary policy in a regime in which an ample supply of reserves ensures that control over the level of the federal funds rate and other short-term interest rates is exercised primarily through the setting of the Federal Reserve’s administered rates, and in which active management of the supply of reserves is not required.” In other words, the Fed’s balance will remain large and its reduction should not be seen as key part of setting policy. In recent weeks, the Fed’s plans with regard to the reduction in the size of its balance sheet — which ballooned to $4.5 trillion in the years after the crisis as the central bank sought to stabilize financial markets and bolster an ailing economy — had become a major focus for investors. Recent commentary on the balance sheet from Fed officials, including Powell, have been market-moving events. The Fed on Wednesday maintained its policy of allowing up to $50 billion in assets — $30 billion worth of Treasuries and $20 billion worth of mortgage-backed securities — to roll off its balance sheet, a policy President Donald Trump criticized late last year when he implored Powell to “feel the market” just days before December’s policy announcement. The Fed’s monetary policy statement was also altered notably on Wednesday from December, with the central bank making a key change to its forward guidance as it de-emphasized the need for more interest rate hikes in the short term. “In light of global economic and financial developments and muted inflation pressures, the Committee will be patient as it determines what future adjustments to the target range for the federal funds rate may be appropriate to support these outcomes,” the Fed’s statement read. In December, the statement said that “some further gradual increases” in the Fed funds rate would likely be warranted. The Fed also tweaked its outlook for the U.S. economy, downgrading its assessment to indicate that the economy has been growing at a “solid” rate from its view of activity expanding at a “strong” rate in December. The labor market, in the Fed’s view, “has continued to strengthen,” the same as the central bank assessed in December.